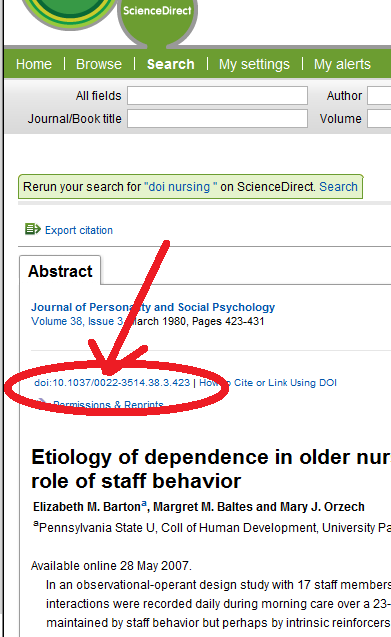 Finding the DOI for an article and using the DOI in a citation. These are examples of an APA citation using the DOI or the hyperlink. DOI is an abbreviation for Digital Object Identifier. It is an alphanumeric code assigned to specific articles and other electronic publications. An analogy for a DOI is a cell phone number; if you call that number you can get that publication no matter where it is located on the internet. Also, like a cell phone number, DOI did not exist years ago but may be obtained later OR the particular publication may not have one. The difficulty is finding the DOI if it is not printed on the publication but was obtained after publication. The first thing is to check the article landing page (see examples below). Also, check the publication itself. It is usually clearly labeled DOI and begins with a 10. 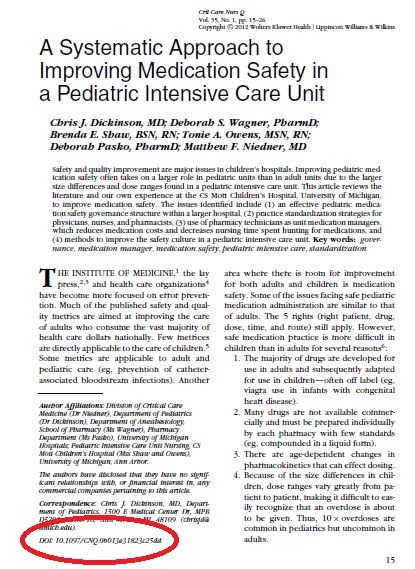 If it is printed on the document it is usually near the title, the author(s), or near the top or bottom margins (see example below). The DOI can also be provided as a hyperlink (see third example below). If the DOI is not on the document, you will have to do an internet search for it. You can check the CrossRef site for it by going to http://www.crossref.org/guestquery/ and entering the appropriate information. Search the internet for the title of the article. In Google, cut and paste the article title in the search box and put quote marks around the title in order for it to be searched as a phrase. 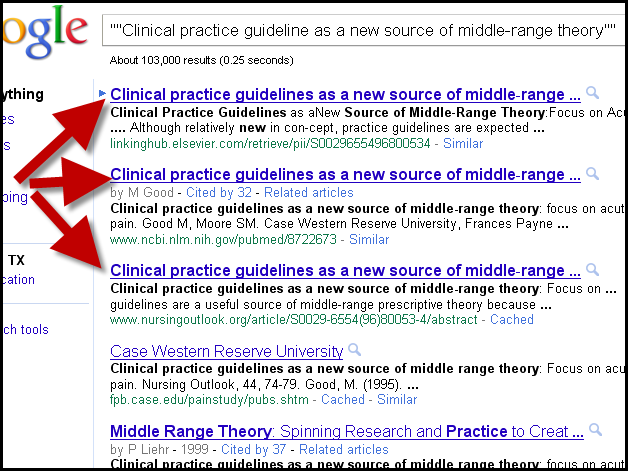 Example: "Clinical practice guideline as a new source of middle-range theory"
A list will appear. 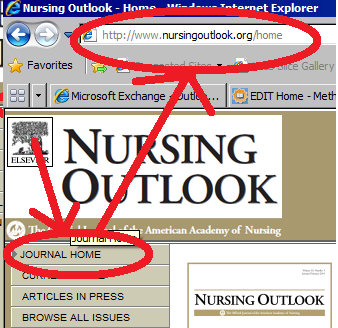 You may have to quickly examine more than one of these links to determine which one is the journal's site. Look around quickly to see if the DOI is part of the information. 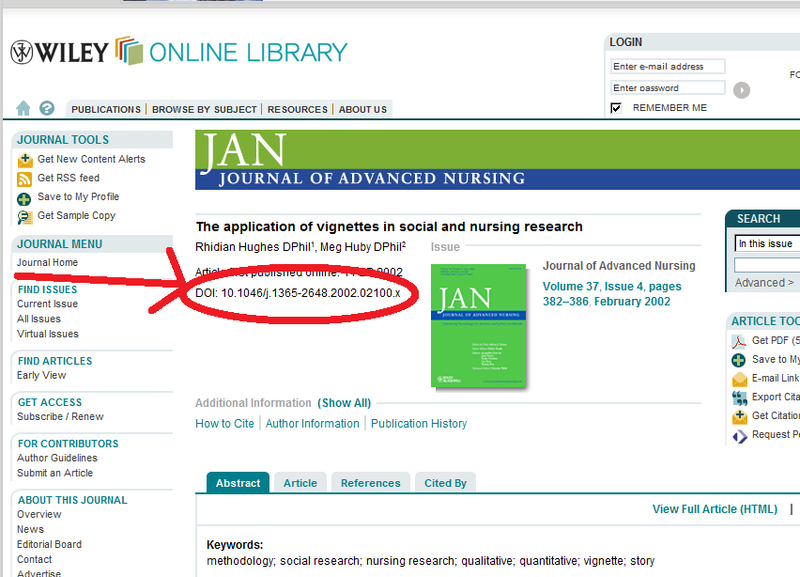 If there is no DOI at the article level and you are at the journal's site, click the link to the journal's home page. 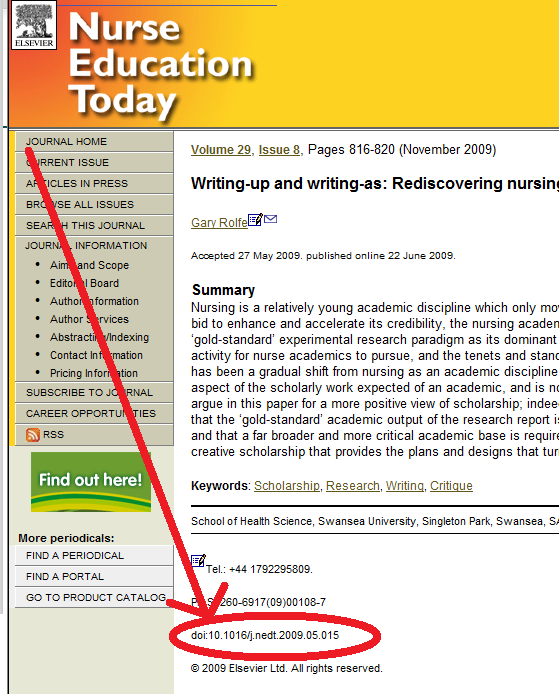 Copy the DOI into your reference, If there is still no DOI, then use the article URL. Created by Helen Hough. Adapted by Peace Ossom Williamson.